Pradaxa is an oral medication that is used as an alternative to warfarin (also known as Coumadin), which is a blood thinner. 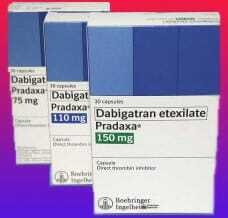 It is manufactured by Boehringer Ingelheim. Blood thinners are commonly used to reduce the risk of stroke and blood clots. 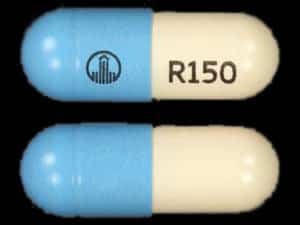 This drug has been FDA approved since 2010. After being approved it was widely prescribed as a newer and more efficient version of warfarin. Soon after Pradaxa was put into circulation, patients started to suffer from severe bleeding that wouldn’t stop. 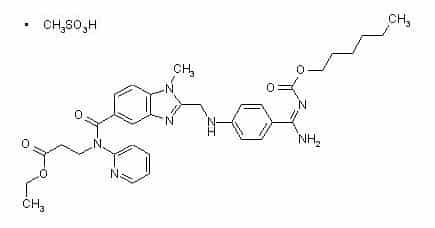 As of October 2015, the FDA has approved an antidote for this known as Praxbind®. Since 2010 patients taking Pradaxa have experienced complications including brain hemorrhaging, gastrointestinal bleeding, internal bleeds and kidney bleeding. If you are currently using Pradaxa, you should talk with your doctor about the risks associated with it and if there are alternatives. According to a Cleveland Clinic study, Pradaxa causes a 33 percent increase in the risk of heart attack, including chest pain, shortness of breath and loss of consciousness, compared to warfarin. As of 2011, 540 patients have died after using Pradaxa, and thousand of others have experienced serious side effects. Boehringer Ingelheim, the manufacturer of Pradaxa, announced a settlement of $650 million for all 4,000 lawsuits currently happening in state and federal Pradaxa lawsuits as of 2014. The FDA has not recalled Pradaxa yet, claiming that the serious side effects are outweighed by the benefits. If you have any questions about your side effects after taking Pradaxa, contact one of our Pradaxa litigation attorneys for clarification. We will continue to fight for the victims of large drug manufacturers who have been overlooked by regulatory agencies. It is important to contact an experienced Pradaxa litigation lawyer at Rob Levine & Associates if you experience any adverse symptoms. We will evaluate your claim and let you know if you can qualify for compensation due to product liability or defective drug liability. The statute of limitations is set at one year for the U.S. but can increase depending on your state. If you or a loved one has suffered injuries from Pradaxa, let us help!